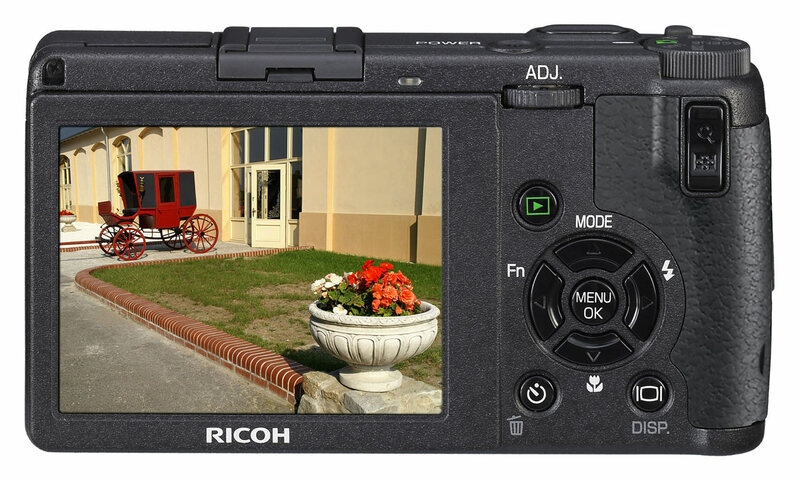 Ricoh today announced the successor to its GR Digital premium compact. The Ricoh GR Digital II carries over the well-received 28mm equiv. lens from its predecessor, matching it to a new 10 megapixel sensor and new GR Engine II image processing system. For those of us with one leg longer than the other there is a new electronic leveling system à la Nikon D3 and the option to shoot TLR-style square images. Performance is said to be improved with a larger buffer memory and halved RAW file-write time with the option of continuous shooting. Battery life is also said to have come on leaps and bounds with up to 370 shots now possible on a charge - the original gave up after 250. The Ricoh GR Digital II will cost £399.99 when it hits UK shops in December. Digital camera inheriting the GR DIGITAL concept with even higher image quality and performance. 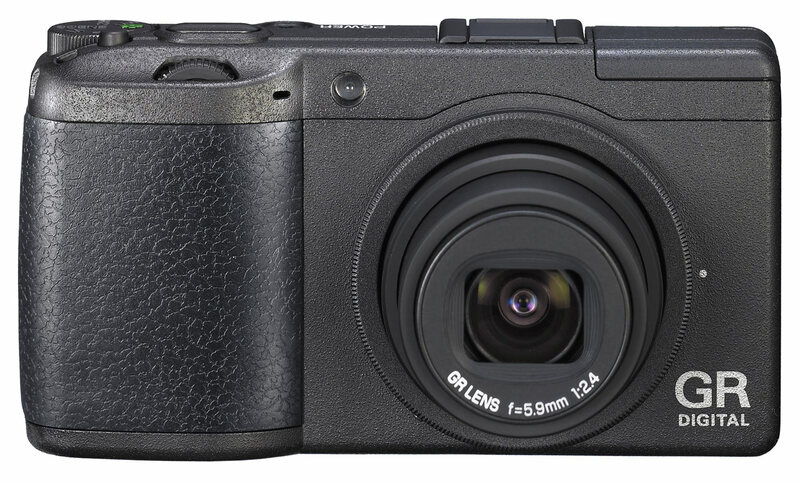 Tokyo, Japan – 30th October - Ricoh Co., Ltd. (president: Shiro Kondo) is proud to announce the development and release of the GR DIGITAL II. This compact digital camera succeeds the high-resolution GR DIGITAL released in October 2005. The multi-award winning GR DIGITAL was launched as the successor to the GR Series of 35 mm compact film cameras (first released in 1996) that were popular for their superb image quality. The GR's outstanding performance met the high standards demanded by professional photographers. It's compact 25mm thin magnesium alloy body has been highly accepted by a wide range of users including high-end amateur and professional photographers in the two years since its release. The new GR DIGITAL II retains the original concept of the GR DIGITAL of being a high-resolution compact camera that achieves excellent resolving power from edge to edge, low noise, and low colour aberration. In addition, it has, expressive power, operability, and expandability for even higher image quality. The GRD II will be available at RRP £399.99 Inc at the beginning of December. The GR Digital II achieves even higher resolution with new GR Engine II. The GR DIGITAL II is equipped with the newly developed GR ENGINE II image processing engine to keep the excellent resolution, tone characteristics, and colour saturation of the GR DIGITAL, while achieving dramatic reduction in noise. A new 1/1.75-inch CCD with 10.01 million effective pixels is employed to achieve improved resolution with an increased number of pixels. High image quality that meets the needs of professionals is achieved by coupling with the F2.4 aperture, f5.9 mm focal length (equivalent to 28 mm on a 35mm camera) GR LENS popular for its high resolution feel and low distortion. Highly expressive photos can be taken thanks to an acceleration sensor that measures camera tilt along the perpendicular axis and the newly developed image processing engine, GR ENGINE II. Equipped with an electronic level. With the addition of an acceleration sensor, the GR DIGITAL II is equipped with an electronic level function that allows users to know if the camera is level while looking at the LCD monitor. This feature is especially effective when taking pictures of buildings or scenery. With the level indicator display on the LCD monitor, composing photos with horizontal or vertical lines visible is now possible without looking away from the camera when shooting. There is also a warning sound sensor that can be set to let you know if the camera is level during shooting. A 1:1 aspect ratio (vertical/horizontal ratio) image size that allows for easy photography of square format images is included. Square format is achieved where one can enjoy photography different from standard rectangular images. That aspect ratio has been well received with classic 6x6 medium-format and Ricoh Caplio GX100 cameras. RAW mode also is compatible with 1:1 aspect ratio (vertical/horizontal ratio). A variety of monochromatic expressions possible with black-and-white (TE*) settings. Colour, colour depth, contrast, and sharpness of an image can each be adjusted in +/- five steps. Colour can be selected as desired from sepia, red, green, blue, and purple. Enhanced operability within a camera designed to accompany a design to accompany photographers wherever they go. The function button allows for one-push mode switching. Settings can be registered to switch between “JPEG and RAW,” “Snap and AF,” “colour and black & white,” and others for quick switching of modes when sudden photo opportunities present themselves. Functions registered to the Fn button can be saved to the My Settings Mode. By displaying the depth of field in the focus bar, the distance range of the depth of field can be confirmed in advance. The 2.7-inch, 230,000-pixel display with a high 160º viewing angle is easy to view from both low and high angles. Writing time for RAW mode has been reduced and shooting during RAW image writing has been achieved. A manual pop-up flash operated by a sliding switch is employed to prevent accidental flash operation. The camera is equipped with a flash exposure compensation function that can compensate light intensity from +2.0 EV to -2.0 EV. An information display mode shows specific information of your choice on the screen even when the LCD monitor is turned off thereby increasing its ease of use when using the external viewfinder. The mode dial is equipped with two My Setting modes. Simply aligning the mode dial to a My Setting allows the user to switch to a preregistered shooting setting of choice. The GR DIGITAL II has been equipped with an ADJ. lever to assign functions with a push after setting values are chosen from the operation menu in ADJ. mode. Automatic horizontal or vertical rotation of images according to the camera position has been achieved and can be viewed during playback on the LCD monitor. A thin, compact size was achieved, measuring 107.0 × 59.0 × 25.0 (W x H x D) and weighing 168 g, while ease of use was improved. Expandability is increased with a wide range of optional accessories. GR DIGITAL optional accessories can continue to be used with the GR DIGITAL II. And the new GT-1, GV-2, and GC-2 can also be used with the original GR DIGITAL.